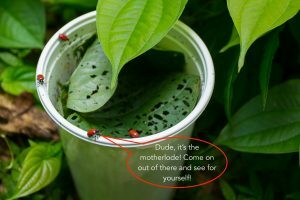 We have decided on the winners of the “air potato beetles at work” photo contest. Thanks to everyone who submitted an entry. It was difficult to pick the winners, but here they are….. Thank you very much to our judges and everyone who entered. And don’t forget to keep on posting interesting pictures! Here is a quick video showing the winning entries and the runner ups! Congrats to the contest winners! 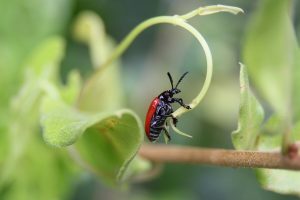 It was fun getting a peek into beetle lives around the state. 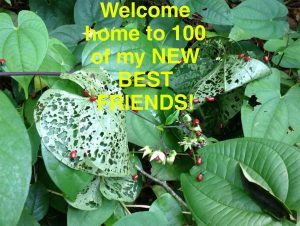 My air potato beetle population started with one single beetle that flew in from somewhere else and 50 larvae that I guess were hers. My acre or so of air potato vines are now mostly skeletonized! !